Boerma translates　the experiences he acquires from around the world, from places suchas Asia and Scandinavia, and places them into cosmopolitan and　creative dishes. New ingredients, new flavours and new discoveries　are the foundations of the food philosophy of this classically trained　Dutch chef with preverence for acidity, spices and vegetables. A perfectionist through and through, his skill and craftsmanship result in culinary art of the highest standard. However, the product is paramount for this chef, who favours local organic ingredients whenever possible. Boerma firmly believes that the quality of the product is the basis of success, which he then crafts into incredibly flavoursome dishes. 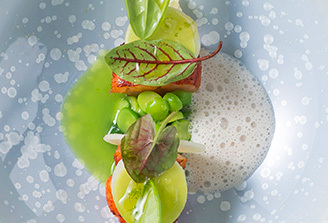 He began his career working at renowned restaurants in Belgium such as De Bokkedoorns (Overveen), Scholteshof (Steevoort) and Het Laurierblad (Berlare). He then crossed the border into the Netherlands where he perfected his skils at De Duinrand (Drunen), Kaatje bij de Sluis (Blokzijl) and finally as Head Chef at De Nederlanden (Vreeland) where he gained a second Michelin star for the restaurant. 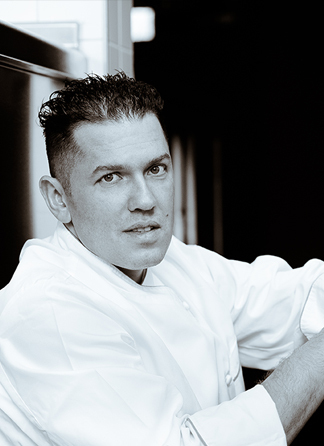 Jacob Jan Boerma started his career in Belgium and after he worked in many countries with different famous chefs, he opened his own restaurant De Leest, Vaassen in the summer of 2002, on the outskirts of De Hoge Veluwe National Park in central Netherlands. It earned michelin 1 star only after 6 months of its opening. 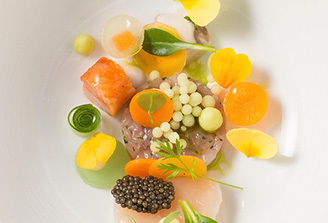 The 2 star followed in 2007, and by 2013, it has earned Michelin 3 star. 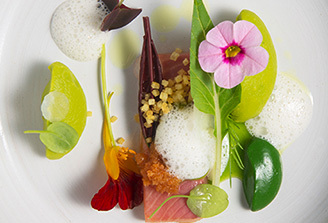 In 2010, he was selected the chef of the year in Gault Millau. Behind the incredible success of the restaurant, there is owner chef Jacob Jan Boerma, along with his partner and sommelier Kim Veldman. Also in 2013, Boerma passed his Meesterproef SVH Meesterkok (master chef) exam.